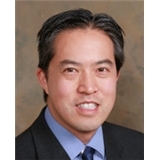 Clifford Chew, MD (San Francisco) - Book Appointment Online! Dr. Chew is a Board Certified otolaryngologist/ ear, nose & throat (ENTs) / head and neck surgeon by the American Board of Otolaryngology / Head and Neck Surgery. He has over 15 years of surgical experience. Dr. Chew performs sinus surgery, specialized oral/laryngeal surgery, major head & neck surgery (neck dissection, thyroidectomy, parotidectomy, cancer), and ear surgery. Dr. Chew is a native of San Francisco and graduated from Lowell High School with Honors. He received his Bachelor of Science degree in Chemistry with Honors and Distinction in 1991 from Stanford University and his MD and residency training in Otolaryngology/Head and Neck Surgery at University of California, Irvine School of Medicine, with Honors. We now offer allergy skin test in our office. Dr. Chew speaks fluent Chinese (Cantonese & Mandarin) and some Spanish. Our office staff also speaks fluent Vietnamese.